Supplied with 2m hose, 3 x hose accessories and dust bag. The Scheppach HD2P is a powerful 1250W vac with 3 x useful applications in the one unit. 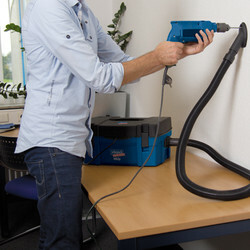 Compact and easily portable, it can be connected to most power tools to eliminate breathing in harmful fine dust when sawing, routing, drilling, or sanding. Especially useful for extracting dirt or debris in and around the house or car. Can also be used to blow surfaces down, inflate airbeds and paddling pools. This product is suitable for fine wood dust and household dust - Not to be used with wall chasers for extracting cement or brick dust. 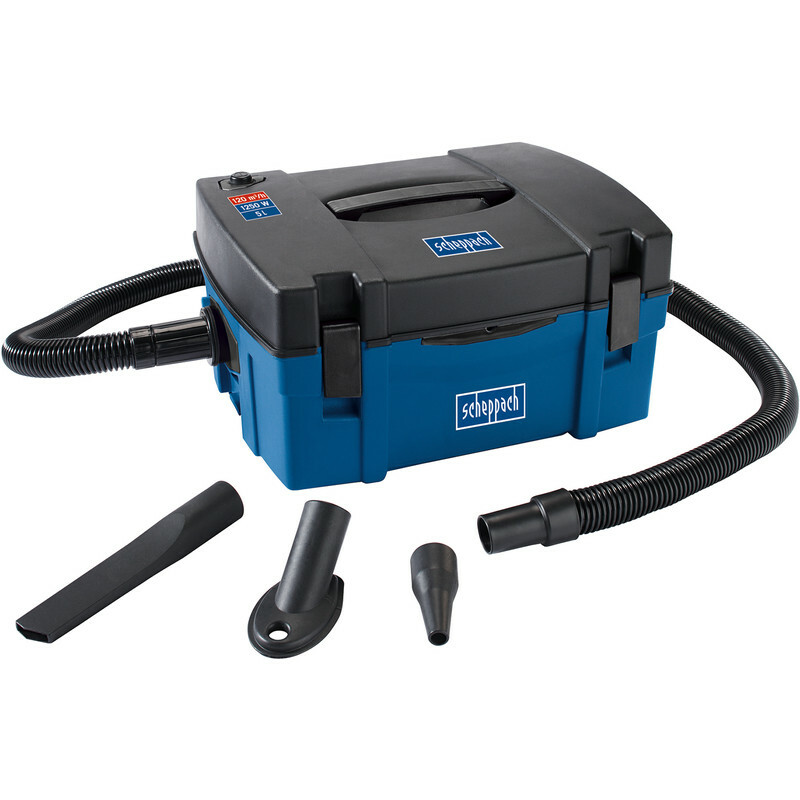 Scheppach HD2P 1250W 3 in 1 Portable Vac 240V is rated 4.0 out of 5 by 1.